This bait has long been invented! This was the bait I was fishing with for the first time and always accompanied me at the beginning of my fishing career. Later, it fell into an oblivion of many fishermen, as in 1990 there were tons of different and now so popular boilies and “particles”. This bait is called a dough. Until 1980, the dough and potato were considered the best bait for carp. I can assure you: the carps have not changed their tastes – but probably fishermen did. This also has the advantages: because of hardly anyone fishes with dough, carps have almost forgotten the connection of the dough and a hook. 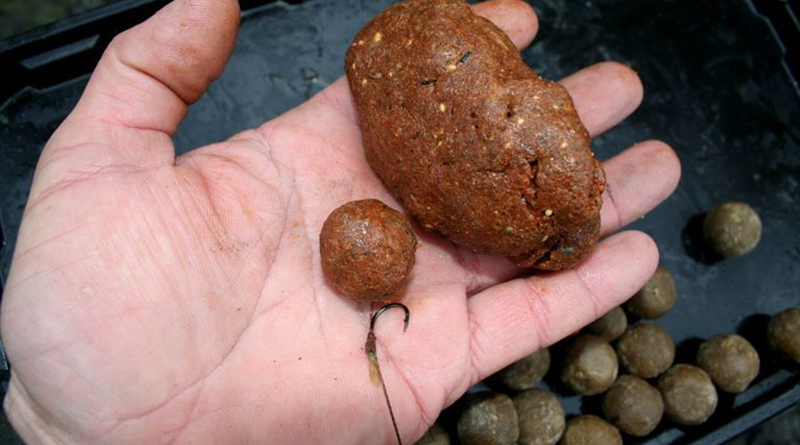 They take it a completely innocent manner, even in waters where boilies have only the effect of fear. Now you may wonder: is not a hard bait that has the advantages for a carp, since it is accepted only from carp and not from a variety of other white fish? And the dough is still quite soft bait, but at the same time, it is the one that decomposes in water in a much shorter time than boilies. For fishing, the size of the dough is important! My mom offered me a solution when she said: boy, why do not you mix your dough with a little margarine or olive oil and you will get a protective layer on a dough that will protect the water from breaking inside it? And indeed, I immediately tested her advice, my newly mixed dough spreading the smell like in a bakery – the trick was working, the dough now lasted up to 6 hours in the water.